When things like this are becoming a daily occurrence in the news, it’s becoming increasingly difficult to remain objective about the social politics that surround our everyday lives. In the wake of the public outcry over Ferguson, a Staten Island jury voted not to indict police officer, Daniel Pantaleo in the killing of 43-year-old Eric Garner. 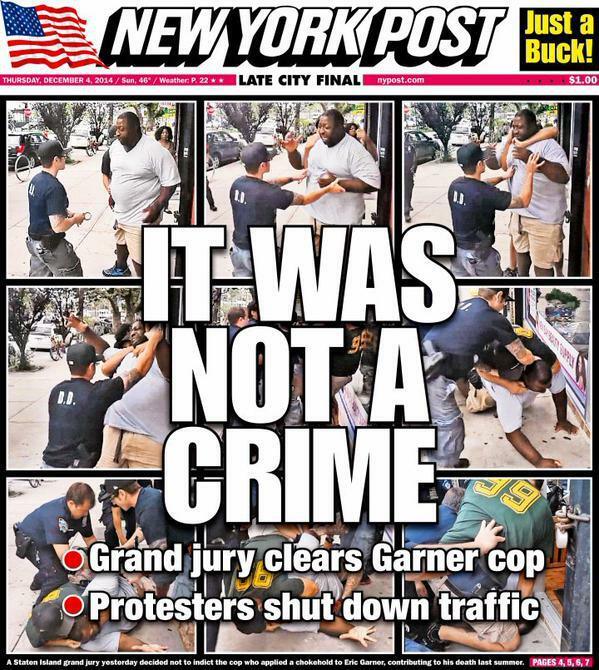 Garner died in July after Pantaleo restrained him in an chokehold (that was deemed illegal by the police department. Gardner was an unarmed man who was confronted by the officers for selling individual cigarettes on the sidewalk and when he tried to walk away, he was locked into a chokehold, restricting his oxygen and killing him. 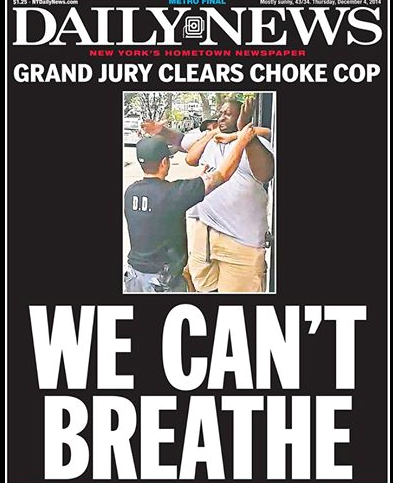 While this cover (and this editorial) shows just how divided we really are on the issue of police brutality in America.